In this interactive presentation, Adele Michal, MA, shares concepts and practical tools you can use immediately to boost your career, make your difference, and enjoy the income you desire. The simple 3-word phrase that instantly calms and centers you so you can be and do your best in any situation. How to DISSOLVE the 3 most painful myths about success that are keeping you worried, unhappy, and underpaid so you can be your true self and live your dreams. A fun 1-minute exercise that boosts your confidence and makes you much more magnetic to the people whose attention and appreciation you want. The ONE simple action that will advance your business or career faster than any other. And (surprise!) you already know how to do it. The SECRET that opens the way to all the career advancement, income, and impact you want to make. Adele Michal, Creator of Peak State Selling Process™ and the Effortless Enrolling Program™, shows professional women how to present themselves and their ideas with confidence, authenticity and integrity. Her mission is to help women thoroughly enjoy their life and career while making the income and impact they desire. 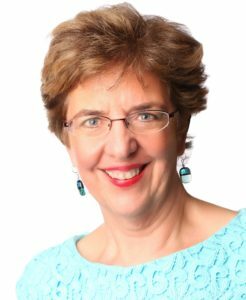 With a background in Peak Performance Enhancement, Marketing and Small Business, Adele has mastered ways to communicate with yourself and others to be your best, even in challenging situations. She shares easy-to-use practices and strategies in her engaging and entertaining presentations. Adele has a BA from Randolph-Macon Woman’s College (now Randolph College) and a MA in Counseling Psychology from James Madison University. Her professional experience includes working with Walter Cronkite on his science television show, Universe, on CBS News; video marketing for AT&T; and marketing and sales for small businesses as well as a private therapy practice for several years. A native North Carolinian, Adele lives in Chapel Hill where she cheers on the UNC Tarheels in basketball, enjoys music and dance performances in the area, and loves making a difference in the lives and businesses of her clients.